Navigate a booby-trapped hotel while evading the ‘Devil in the White City’ himself in this horrifying VR game. Next year will see the release of Martin Scorsese’s Devil in the White City, a film adaptation of Erik Larson’s 2003 novel detailing the horrendous activities of H.H. Holmes, America’s first recorded serial killer. Starring Leonardo Dicaprio as the depraved killer, the film will follow Holmes’ beginnings as a medical professional, all the way to his infamous ‘Murder Hotel’ in which he tortured and killed over 200 individuals during the 1893 Chicago World’s Fair. For those of you who can’t wait to watch the dreamy-eyed actor go on a calculated killing spree, a team of developers are offering a terrifying VR experience that places you at the center of Holmes’ sadistic Holiday Inne. Brought to us by the team behind 2015’s Insectula, a tongue-in-cheek monster movie featuring a massive alien mosquito, The Horror of H.H. Holmes takes a more serious approaching by tasking users with carefully navigating their way through a trap-ridden hotel where one small step could lead to a gruesome death. As if that weren’t bad enough, players will have to evade the killer himself as they move throughout hidden passageways and soundproof rooms, and around dangerous booby traps and gas chambers. 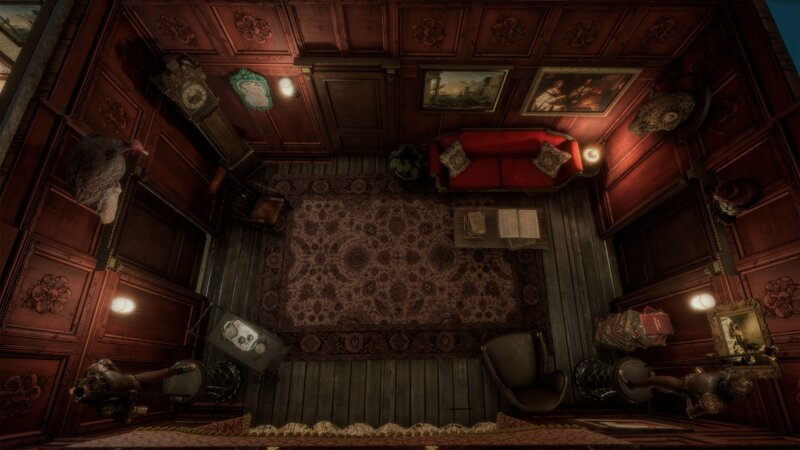 The game works similar to an escape room, with players exploring the hotel in search of evidence that can prove Holmes’ crimes. They’ll have to be careful, however, as just one squeaky floorboard could mean the difference between life or death. Peterson conducted extensive research in an attempt to replicate Holmes’ twisted residence as accurately as possible. The developer utilized historical blueprints, old news reports, even eye witness accounts from survivors to build his horror escape room. As of right now there is no official release date set for The Horrors of H.H. Holmes just yet, though Peterson has expressed a desire to launch the terrifying experience on SteamVR prior to Scorsese’s film release. You can learn more about the upcoming horror game via its official Facebook page.